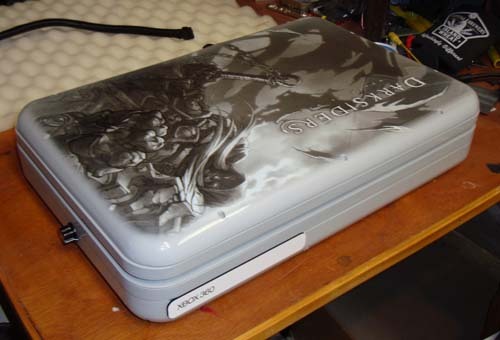 Here is the Xbox 360 laptop prize for THQ’s “Darksiders” game. The casing / shell design was done by myself and then Colorware (over in Minnesota – go midwest!) printed graphics on it using Joe Madureira artwork as a basis. It’s pretty slick looking, I’d heard of Colorware before but this is first time I’ve seen what they can do in person. Very glossy! The game itself comes out later this year I believe. For the making of story and more pictures and video, click below. 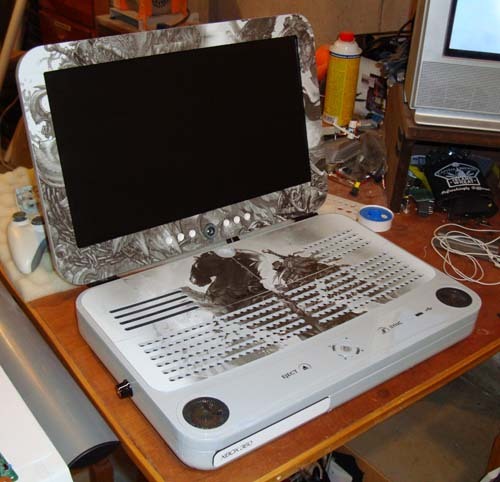 Usually I don’t show works-in-progress, but THQ wanted me to keep people in the loop so here’s a quick look at the Darksiders laptop. It’s similar in size to my previous Xbox 360 laptops but a little bigger. 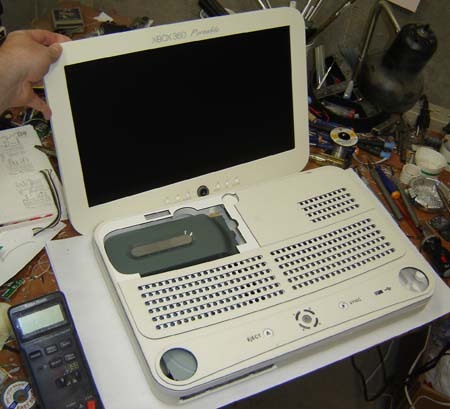 A little more room allows a lot more features as this one includes a slot to insert a full-sized Xbox 360 hard drive. Also both memory card slots are available, so taking your home profile “on the road” will be a piece of cake. 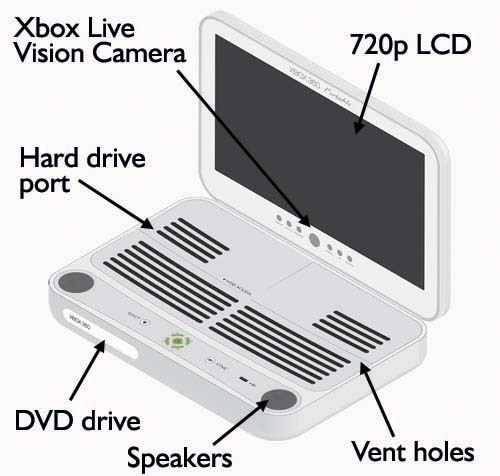 The Xbox Live camera is included, as well as Wi-Fi. The 2 circles on either side will be the speakers. Also note all buttons are front-mounted, sync, eject and the remaining USB port.